You eat right and exercise, yet you still have those stubborn little fat pouches that will not go away. Liposuction can help. Dr. Garcia performs liposuction on patients to sculpt and provide a more proportionate profile. Liposuction is an excellent option for patients with love handles, belly flab, saddlebags, a double chin, or fat deposits almost anywhere else on the body. Even with proper diet and exercise, your body may be prone to developing fat in unwelcome places. Liposuction is often the only sure way to achieve a more proportioned figure. This procedure can be combined with many others, such as tummy tuck, breast lift, and many facial sculpting procedures. Board certified plastic surgeon Dr. Garcia is a trusted partner for many weight loss patients in Queensbury, Glens Falls and Saratoga Springs. Request a consultation or call the office at (518) 793-0475 today to start enjoying a more shapely figure that impresses your friends and loved ones. Liposuction is a popular way to refine your look. During the liposuction procedure, Dr. Garcia makes a tiny incision at the treatment site and inserts a small tube (called a cannula) under the skin to extract fat tissue. After your procedure, Dr. Garcia provides compression garments to prevent swelling and support the area. Most patients wear a support garment for several weeks before their smoother, improved shape is revealed. Following your procedure and recovery, continue to eat right and exercise in order to maintain your plastic surgery results. It’s important to remember that liposuction will not necessarily prevent you from gaining weight in the future. 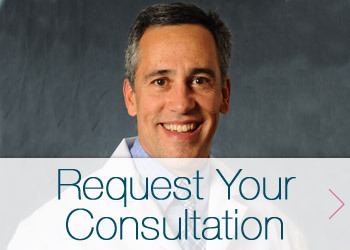 At your consultation, Dr. Garcia will be happy to answer your questions about liposuction or any of the other plastic surgery procedures you may be thinking of having done. Request a consultation by filling out the form below or call (518) 793-0475 today to start making a change for the better.